Bamboo appeals to crafters, gardeners, and environmentalists alike, so if you are any one or all of them, you are definitely in luck. Being stronger than steel, bamboo is a wonderful building material for decks, ladders, tree houses, birdhouses, and anything else you can imagine, so let your imagination go wild. Bamboo grows in warm, mild climates, so those of you in zones 7 and 8 see your nursery for the kinds of bamboo that grow best in your neighborhood. Let the nursery people know whether you want your bamboo for crafts or merely for ornamentation, because that will influence the size and appearance of the variety you choose. 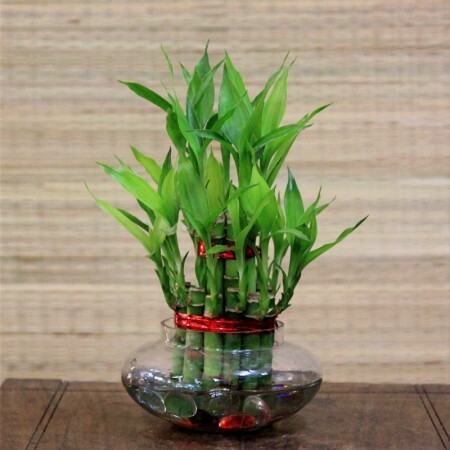 Bamboo likes to grow in the sun in well-drained soil. Keep the soil moist but do not allow the roots to stand in puddles of water. Harvest bamboo during the summer when it is driest. I strongly recommend a powered hand saw, unless you have a very sharp saw and very good muscles. Otherwise you could be there a long time. Once your bamboo is harvested it will need to be cured to keep it from cracking. The curing process removes resins and dries out the wood. One way is to use a propane torch or charcoal fire to heat your culms until the resin comes out of them, then wipe it off and store the culms in a cool, dry place for a few weeks. Or you can soak the bamboo poles in water for 90 days, then remove them and allow them to dry away from the sun. The easiest way is to stand your cut bamboo vertically until it turns light brown, then store in a cool, dry place indoors. toy. Your local kindergarten or high school band might appreciate a pair for its rhythm section Drinking cups are another simple thing to make. Simply place your bamboo onto a hard surface and cut out a section Cut to the right of the closest node on your right and just to the left of the closest node on your left. Stand up your cup and you are ready to go. You can make vases using the same technique, although if you make them too tall they are likely to be unstable.. Cut the bottom of the vase carefully to make it even with the surface where it will stand. If it still has a tendency to fall over, make a stand using a split bamboo culm. Cut out a length of bamboo and split it evenly lengthwise down the middle. Place it with the concave side downward and cut out a hole into the center just large enough for your vase to fit into it. Place your vase into the hole and secure with glue. Ikebana floral arrangements especially lend themselves to bamboo containers. Split lengths of bamboo are also good for making horizontal containers if you leave nodes at both ends. Stabilize with “legs” made from more split bamboo lengths, attached so that their convex surfaces are facing upward. 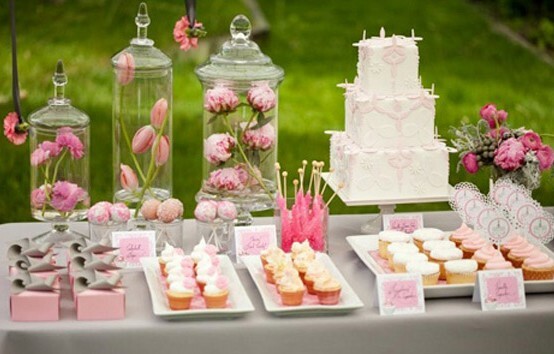 Use your containers to store office or crafts supplies, or put them out at a party with candies or nuts. Hang bamboo poles horizontally under your roof’s overhang and hang containers of plants from them for a green look. Another lovely outdoor look is a bamboo fountain. The number of poles you will need will be determined by how large a fountain you would like to make. Choose one large diameter and one diameter pole. Cu a length off the smaller diameter pole with a slanted cut. Cut hole into your larger poles for the smaller pole to fit in, at a slightly downward angle. Insert your smaller pole into your larger one and stand the larger pole next to a pond or pool, with the spout facing the water. Install a pump to recirculate water from the pond to the fountain. Plant bamboo around your pond for a natural look. Japanese maple overhanging your pond also goes with an Asian theme, although having any kind of tree overhanging a swimming pool would make it difficult to keep clean. There are two basic ways of making a bamboo birdhouse. You can bolt several lengths of bamboo together side by side and use the resulting boards just as you would plywood. Or you can use a large-diameter birdhouse (how large depends upon the kind of bird you want to attract) for the main body of the house.Cut your large diameter pole just above one node for your ceiling and just below another node for your floor. Cut out a round hole (again the size depends upon the species of bird you want to nest) for the entrance. Make some scratches inside your birdhouse just under the entrance, to provide a toe hold for fledglings just leaving the nest and fluttering up toward the light. Split some smaller poles and glue with their concave sides down over the top of your birdhouse for a roof. You can either slant them all in the same direction for a “shed” style roof, or slant them in opposite directions for an “A” style. Loop a piece of fishing line between your roof and your upper node and tie it together firmly about an inch above the roof. This will serve to hang your birdhouse from a tree branch. Choose a place where predators will have difficulty finding and reaching it. Place some split bamboo containers around and fill them with bird seeds. Building a bamboo tree house, ladder, or deck is beyond the scope of this article. It obviously takes a great deal of expertise to make your structure safe , so don’t try it at home before you know what you are doing. Courses in building things are often available from large hardware chains and community colleges. Once your project is built you might want to paint or stain it to change its color or protect it. Lightly sand your structure to remove the natural wax from the bamboo. Choose the glossiest spray paint you can find or use a wood stain or varnish. When painting a birdhouse choose a light color to keep it from getting too hot inside . Choose a natural color such as green or brown to blend into the background and keep the residents safe from cats. I hope you have picked up a few interesting ideas. What will you make?